Britain seems to have gone overboard for the World War One centenary, several months before the actual anniversaries begin. There have already been TV programmes and new projects galore, with many of the latter focusing on telling the untold stories of those who served. I have to confess that I have a few qualms about all of this. Will this very early start lead to ‘compassion fatigue’ or boredom well before 11 November 2018? Will the relentless, in-depth focus on World War I squeeze out the many other anniversaries on the horizon (such as the 75th anniversaries of World War Two, the 200th of Waterloo, the 600th of Agincourt, and the ones in which I take a particular interest, the 350th anniversaries of the second Anglo-Dutch war, the backdrop for the ‘Quinton Journals’)? On the other hand, the historian and ex-teacher in me can only applaud the principle of bringing previously unknown stories and sources into the light. So in that spirit, I’ll add one more previously untold story of World War One to our pooled body of knowledge: the story of my great-uncle, David Richard Jones. Uncle Dai, as the family always called him, was born in 1887 in Lakefield Road, Llanelli (in the house where I spent the first three years of my life). He was the fifth of the seven children of my great-grandparents, David Jones and Elizabeth, née Lewis. My grandmother was the next child, less than two years younger, and the two of them were always close. By the time he was fourteen, Dai was apprenticed to a Llanelli ironmonger, but by 1907 he had moved to Aberavon, some twenty miles east, where he found work as the assistant to another ironmonger. Dai was apparently a quiet, religious man, always willing to help people, who loved the children in the wider family and was loved by them in return. On 5 September 1915, at Ebenezer Baptist Chapel, Aberavon, he married Emily Griffiths, a twenty-six year old local girl. Everything seemed set fair for them to have a happy family life together. 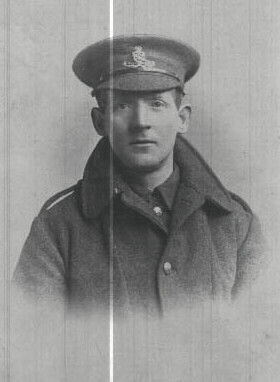 Dai was home on leave from 8 to 22 July 1918. Just over a month after his return to the front line, on 29 August, his unit was camped at Froidmont, just outside Nesle, a village midway between Amiens and Saint-Quentin. That night, the Germans launched a sudden gas attack on the British positions. Dai was one of the casualties, although he did not die immediately. He was taken to 5 General Hospital at Rouen, one of the many British camps and hospitals in the city, and must have spent several days in agony. He eventually died on 3 September. Dai was buried in the huge military cemetery of Saint Sever, Rouen, where over 8,500 of his comrades-in-arms are commemorated in what is the second biggest British war cemetery after Tynecot at Ypres, covering some 49,885 square metres. I was always aware of the story of Uncle Dai; indeed, he was one of the reasons why I was named David. My grandmother lived with us until her death when I was fourteen, and she talked about him quite a lot. Thanks to her, too, various items relating to him have come down to me, including the letter sent to my great-grandmother by Dai’s commanding officer, Lieutenant Posgate, which fulsomely praised his qualities as a soldier. We also had the original documentation showing the location of the grave at Saint Sever. My grandmother always wanted to go to visit it, but never managed to do so. In 1995, though, I arranged to take my parents across for a few days in the area – the first time they had ever been abroad, although they were both around seventy at the time! Tracking down the cemetery using the 1920s map provided by the War Graves Commission proved an interesting exercise, given how much the road layout in Rouen had altered; we ended up driving round the city’s football stadium several times before finally finding the right place. 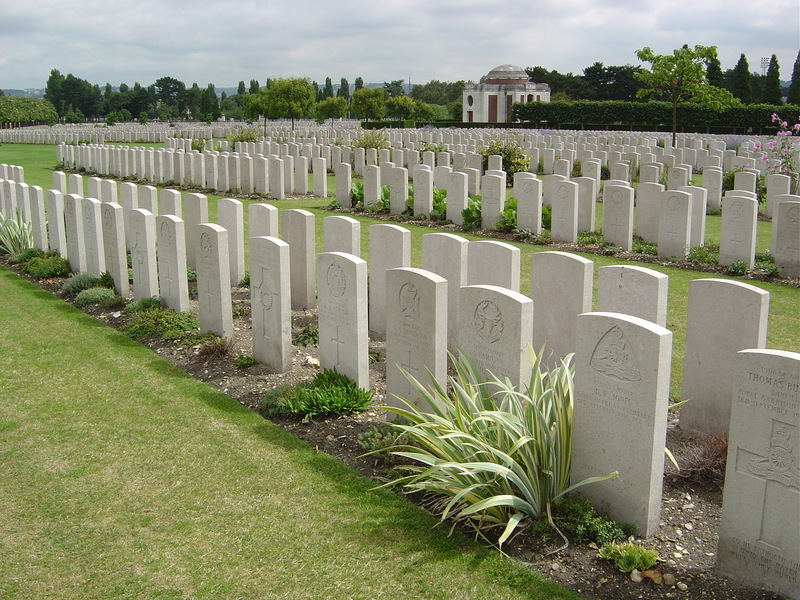 Like all of the Commonwealth War Graves Commission sites, Saint Sever is an immaculately maintained oasis of tranquility, although perhaps it lacks some of the poignancy of the cemeteries on the Western Front itself, surrounded entirely as it is by the bustling modern suburbs of Rouen. Standing in front of Uncle Dai’s headstone was a very emotional moment for my mother and myself; it really did feel as though we were finally saying goodbye on my grandmother’s behalf. I’ve been back to Saint Sever on a couple of occasions since, and one date is already cast in stone in my diary for 2018: 3 September, when I fully intend to go back to Uncle Dai’s grave on the centenary of his death, to pay tribute to his sacrifice and that of all those who fell during the war. I’m delighted to announce that the next two posts will be very special indeed: they mark the blogging debut of Frank Fox, one of the most eminent Seventeenth Century naval historians, author of the absolutely seminal works Great Ships: The Battlefleet of King Charles II and The Four Days Battle of 1666. Frank will be presenting fully revised fleet lists for the important and controversial Battle of Beachy Head (1690), based on extensive original research. These will be as definitive as it is currently possible to be, correcting many mistakes and misconceptions in previous works, so they will be absolutely essential for serious students of naval history and for those who are interested in the period. The lists will be split over two weeks, with the French fleet next week and the Anglo-Dutch fleet in a fortnight’s time. A really good piece written about a top Man by a proud nephew. Fascinating, David. 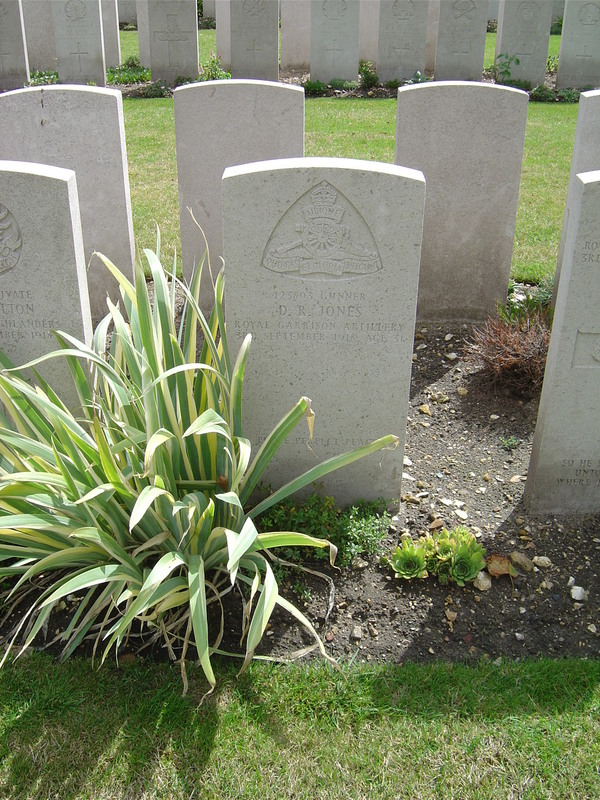 Another huge cemetery – and in terms of the number of headstones, second only to Tyne Cot – is Ljssenhoek just west of Ypres. It’s at the site of several big military hospitals, and contains a very good museum which showcases the work of the medics in WWI. Very impressive. Thanks Rob. Yes, I know that cemetery – we used to take annual school trips to the Salient. Haven’t been to the museum, though, so will have to put that on the bucket list! Thanks Christine! Yes, I know what you mean about the cemeteries – we used to take school trips to Tynecot, Thiepval etc, but often it’s the tiny ones that are the most evocative. St Sever is quite unsettling in some ways – it’s so far from the front and the usual tourist circuit that hardly anybody ever goes there, so in a place that size, the effect can be pretty overwhelming. I was already starting to become fed up with the WW1 centenary – having spent the weekend sorting out the list of (423) names on the Rugby Memorial Gates ready to persuade members of Rugby Family History Group, this evening, to pick a name to research. Thank you for bringing me back to the basics – that it was real men who died. Those cemeteries can be very emotional.